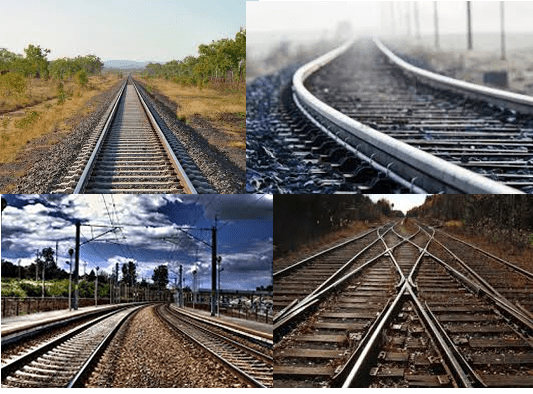 President Buhari approves six new railway line projects – Royal Times of Nigeria. The Minister of Transportation, Rotimi Ameachi in a statement said that President Muhammadu Buhari has given approval for six new railway projects. The projects include the Kano-Katsina-Jibiya to Maradi in Niger Republic; the new standard gauge rail from Port Harcourt to Maiduguri passing through Enugu, Lafia, Makurdi, Gombe, with branches to Owerri, Onitsha, Awka, Abakaliki, Yola, Jalingo and Damaturu. The rest are extension of the Itapke-Aladja (Warri) to Abuja and Warri Port; development of Railway Industrial Park in Port Harcourt and a proposal for railway connection to Bonny Island Deep Sea port from Port Harcourt. He said, “We sought and got Mr. President’s approval to source for financiers for various rail projects for development. Negotiations are ongoing and we may need to make some contributions depending on the negotiations,”. The minister also stated that the ministry is concluding feasibility studies started in 2013 for other new lines including Illela-Sokoto-Yelwa-Makera-Kontagora-Minna; Ilorin-Okoyi-Batigi-Baro to link Itakpe-Abuja line, among others; and Kano-Dayi-Katsina-Jibiya-Maradi in Niger. Others are Port Harcourt-Aba-Umuahia-Lafia-Kuru-Bauchi-Gombe-Biu-Maiduguri; Calabar-Ikom-Obudu-Ogoja-Wukari-Yola-Maiduguri; and Aba-Ikot Ekpene- Ibiano- Itu-Uyo-Odukpani-Calabar. The minister explained that all the projects will be included in the 2018 appropriation in order to reach the goals of the Buhari administration in the development of our railways. He disclosed that the government intends to use the 2018 budget to complete the ongoing Itakpe-Ajaokuta-Warri-Aladja railway project, which commenced 32 years ago and counterpart funding will be required as Federal Government’s contribution for the financing of the Ibadan-Kano project and the Nigerian coastal line Lagos-Calabar project would commence this year. On the 2017 budget, the minister informed that while a total capital provision of N152.527 billion was made for land transport, only N64.781 billion was released and the total of N20.310 billion has been expended as at January 2018.